One South Florida lawyer provides a "complimentary motion" that homeowners can file in court. A Clearwater company encloses a hand-written check for $3,000. And there's seemingly no end to the "free consultations." It's all part of a bid to grab some of Tampa Bay's shrinking mortgage foreclosure business. With the number of new foreclosure filings down dramatically, lawyers, investors and others are deluging distressed homeowners with offers of help. "Even before I got my foreclosure notice, my mailbox was getting bombarded by all these attorneys,'' said Elzie Mahoney, whose lender is foreclosing on his St. Petersburg home. "They knew about it before I did." Within a few days after the notice appeared in public records June 8, Mahoney and his wife, Angela, had received more than 20 solicitations. Many were from attorneys in the Tampa Bay area, but they also came from lawyers in Longwood, Lakeland and even Tennessee. Several investors offered to buy the house or help arrange a short sale. And the letters, post cards and glossy brochures keep coming. During the height of the foreclosure crisis, many foreclosure defense lawyers were doing well enough to afford ads on TV. 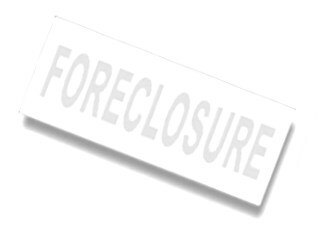 Those have disappeared as new foreclosure filings plunge to their lowest levels since 2006. In April, there were just 263 filings in Pinellas County and 280 in Hillsborough County. Now, instead of TV and billboard ads seen by millions, lawyers and nonlawyers alike are directly targeting homeowners through the mail. Names and addresses are public record and can be compiled by firms that sell "lead generation'' lists. Among the more unusual solicitations is one from a Fort Lauderdale attorney, C. Anthony Rumore. His letter warns that a default judgment can be entered against a borrower who does not respond within 20 business days of being served with the initial notice of foreclosure. "To help give you a little extra time to find the right help, we are giving you a complimentary Motion for Extension of Time to respond to the foreclosure complaint," the letter says in bright red type. It directs homeowners to a website where they can personalize a motion form with case number and address, print it out and send it off to the clerk of court in the county where they live. Rumore, who grew up in Tampa, said he once advertised on billboards but spent too much time fielding calls from people with legal matters his firm doesn't handle. It now advertises mostly through direct mailings approved by the Florida Bar; last month the firm sent out 3,318 letters statewide and received responses from 42 borrowers. For borrowers who hire it, the firm has various fee structures depending on whether the client wants, say, a short sale or help staying in the house as long as possible. An attorney in the firm who often visits relatives in Tampa arranges his schedule so he can attend court hearings in Pinellas and Hillsborough. Shri Pradash of Clearwater's Pradash & Associates also takes a novel approach in his solicitations. Along with a letter offering "cash for keys,'' he includes what looks like a legitimate Bank of America check complete with a company name and account number and made out to the homeowner for $3,000. "The check enclosed was personally written and will be valid if we do business WITHIN DAYS!'' the letter says. Not surprisingly, the company named on the check is not active. A stamped notice on back warns NOT FOR DEPOSIT. Pradash, who offers to buy houses or try to arrange short sales, said he has stepped up his mailings in the past year because "business is very slow all around'' as the number of distressed homes dwindles. Direct-mail solicitations have netted another company, Tampa's Southern Trust Resource, some business but not much, owner Larry Herndon acknowledged. The federal Consumer Financial Protection Bureau, created in the wake of the 2008 financial crisis, advises homeowners facing foreclosure to ask hard questions of anyone offering to help, be they lawyers or nonlawyers. The bureau notes that only the lender can approve a short sale or guarantee that a borrower will get a loan modification. Some companies promising legal help might not employ any lawyers or have a single lawyer claiming to represent thousands of people. "Remember, getting help that may allow you to stay in your home is available from your mortgage servicer or a HUD-approved housing counselor at no cost to you,'' the bureau says on its website, consumerfinance.gov. As for Mahoney, he ignored all of the solicitations and hired St. Petersburg lawyer Matt Weid­ner, who has represented him in other matters. Mahoney said he fell behind on his mortgage payments when he became "very sick'' with hepatitis C and couldn't work because of repeated hospitalizations. Trying to get his loan modified, "I filled out application after application (with the original lender) and it would just sit on a desk,'' Mahoney said. "Then it was, 'Oh, the paperwork is stale now' and I'd go through all the trouble of sending it in again." After the loan was sold to another company, Caliber Home Loans, he tried again, but "they were doing the exact same thing." Mahoney, who owns an auto repair business, said that he and his wife, who works for the Pinellas County clerk's office, are doing well enough financially now that they could resume their mortgage payments if the loan were modified. Curiously, Caliber itself sent the couple letters, first offering $10,000, then $20,000 in cash-for-keys deals.